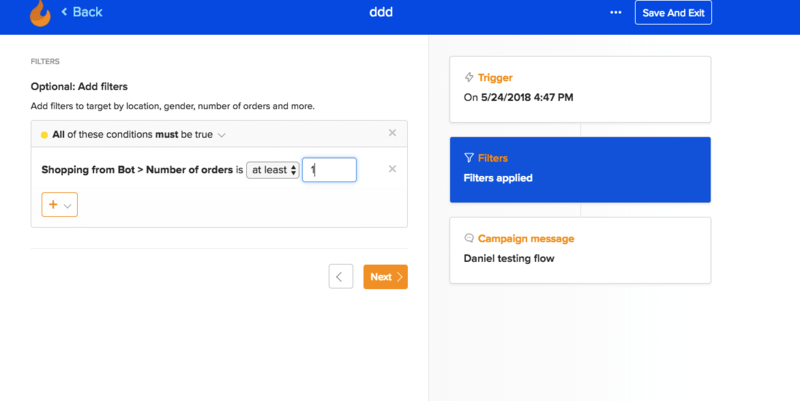 Custom Flows allow you to create a targeted series of messages that are sent when triggered by a specific date, time, event, or customers' activity. These are automated sets of messages that go out based on a specific time or to a specific list of customers. 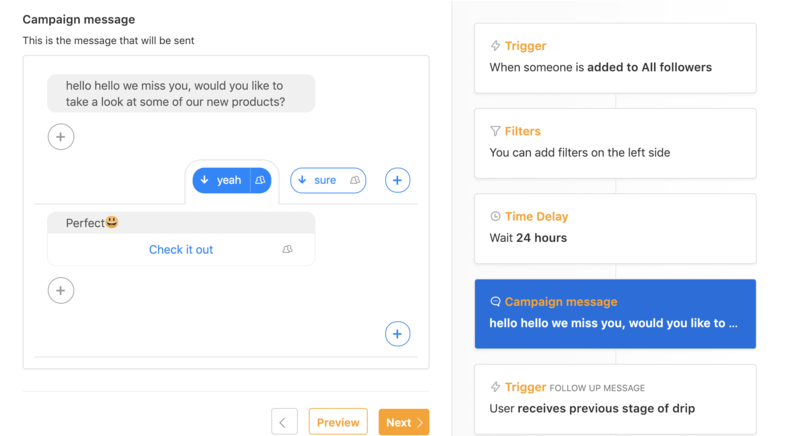 They enable you to stay in touch with groups of people based on their actions, like, for example, when a customer follows your bot. How do I start a custom flow? Trigger - here you can choose what action will trigger the flow. If you select: "User is added to the list," the flow message will be sent after the user is added to the selected list. 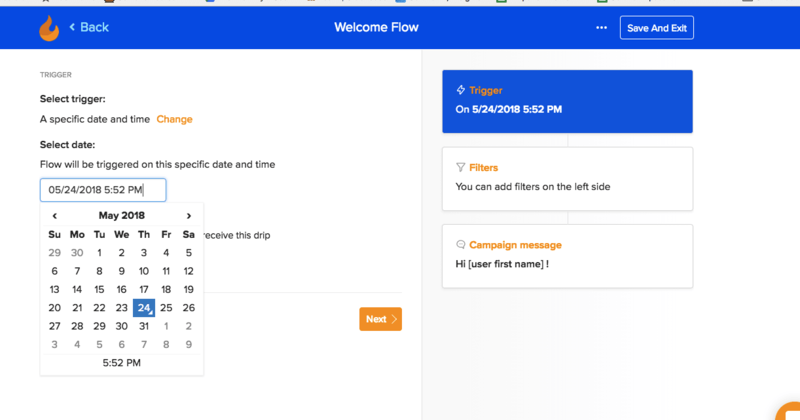 You can also trigger a flow campaign on a specific date or time. This campaign will then go out only once to those targeted followers. Filter - here you can target customers by location, gender, number of orders and more. Find out more about filtering here. By selecting a delay, you set up when the flow will be triggered, after the user is added to the list. 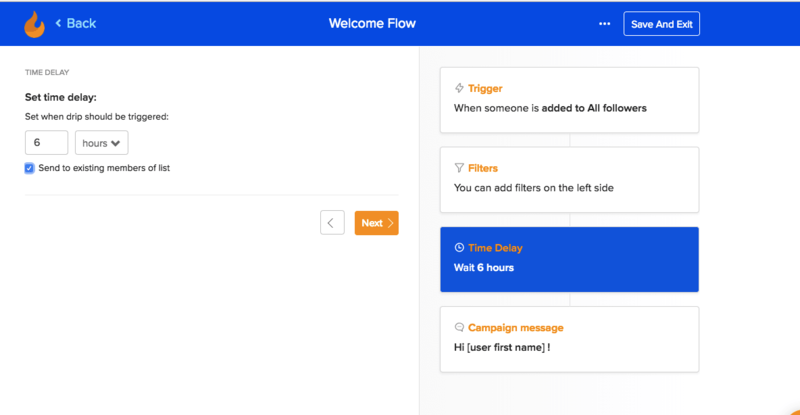 You can also check "Send to existing members," and then all users that are currently on the selected list will get your flow as well as the new ones. Campaign message: Now that you set up the audience and triggers, it's time to write up an amazing message that will be sent out. 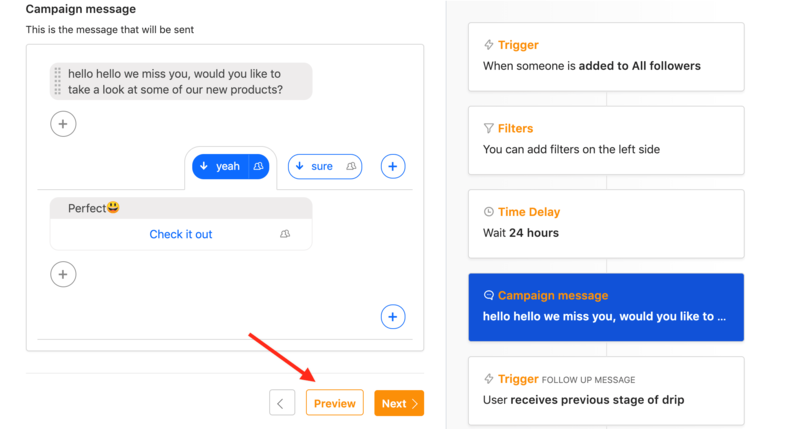 Just like when writing updates or convos you can add sections, tangents and connect to all other convos and features. By choosing a delay, you will set up how much time after the previous message this new message should be sent to your followers. A typical delay is one day, but you should set it up based on your campaign.